Hi... hello there! it's your favorite procrastinator here reporting late (of course) for duty! So this year I started off with the best of intentions... I even got a calendar for easier planning. 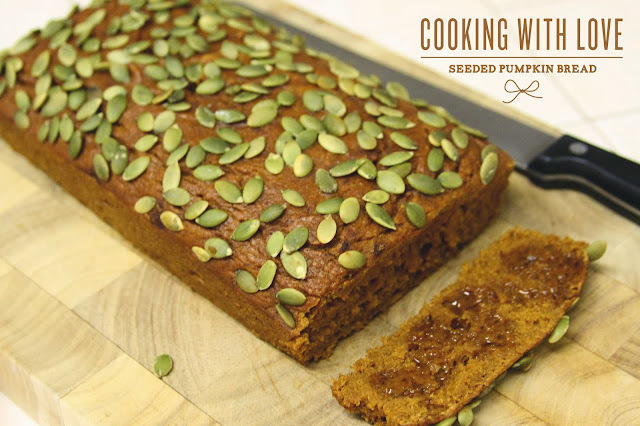 I started brainstorming back in early September, determined to dazzle you all with an exciting assortment of pumpkiny recipes this year sprinkled throughout other content, of course. 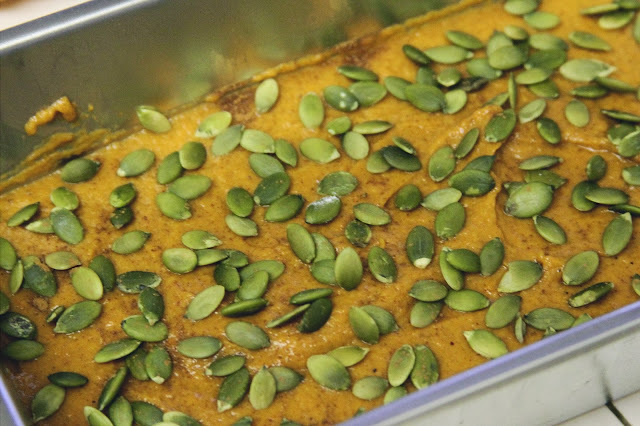 I even bought the bulk of my ingredients (canned pumpkin and the go to spices) early enough... and what's more, I even started baking well in October. 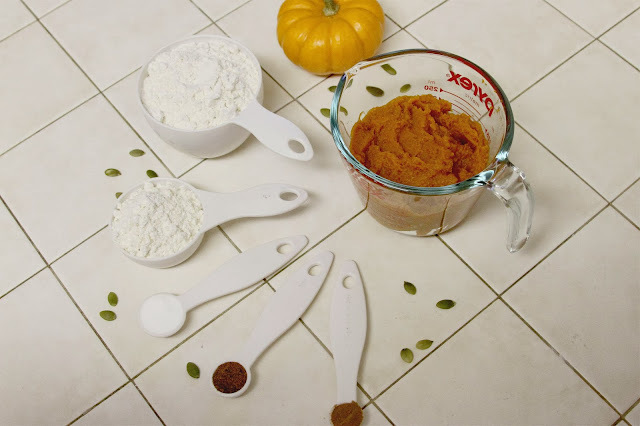 Yet somehow here I find myself (again) with recipes and pictures that still haven't been shared and because my brain will automatically switch off of pumpkin once Thanksgiving has rolled around, it's pumpkin marathon time! So get ready for some new and delicious recipes every day this week! 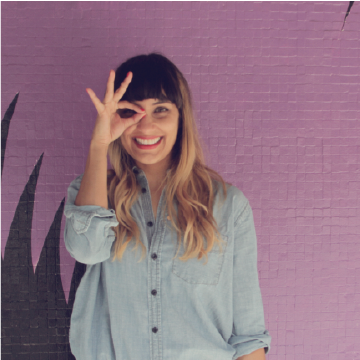 That's right guys, from today until Thursday aka turkey day, it'll be nothing but pumpkin goodness here on the blog. You are welcome... or I am sorry in advance, whichever works for you. I hope you feel inspired to try any of these or any of the ones from last year's pumpkin series for your festive gathering this year. 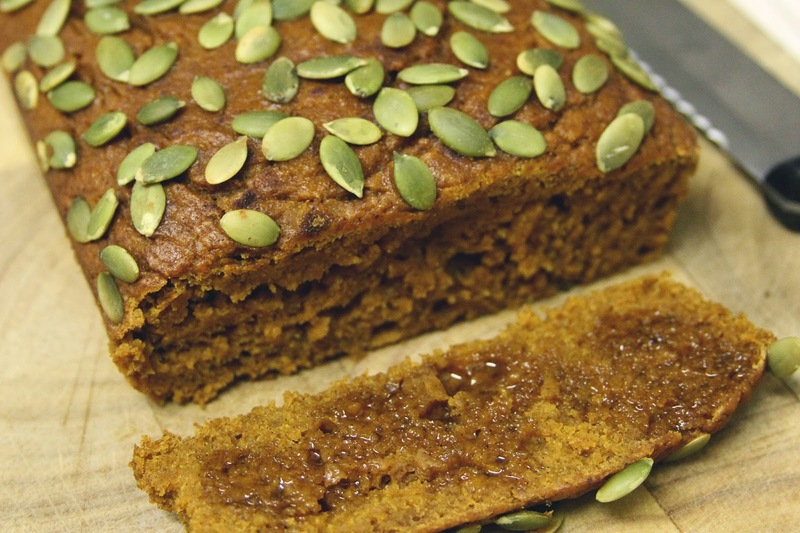 Make sure to let me know in the comments if you try any of these or have any recipes of your own to suggest as I'm sure this obsession will continue in future years to come... one can never have enough pumpkin recipes, am I right? I am happy to report that this seeded pumpkin bread was welcomed with arms (and mouths) wide open in the office and devoured almost instantly. It's a softer bread that is surprisingly not too sweet so even hubs and I were able to enjoy a few slices. I may have eaten a honey slathered slice for breakfast for a few days in a row so I won't judge if you decide to eat the whole load in one sitting... it's that good! Preheat the oven to 350 degrees and spray a 9" x 5" loaf pan with baking spray, set aside. 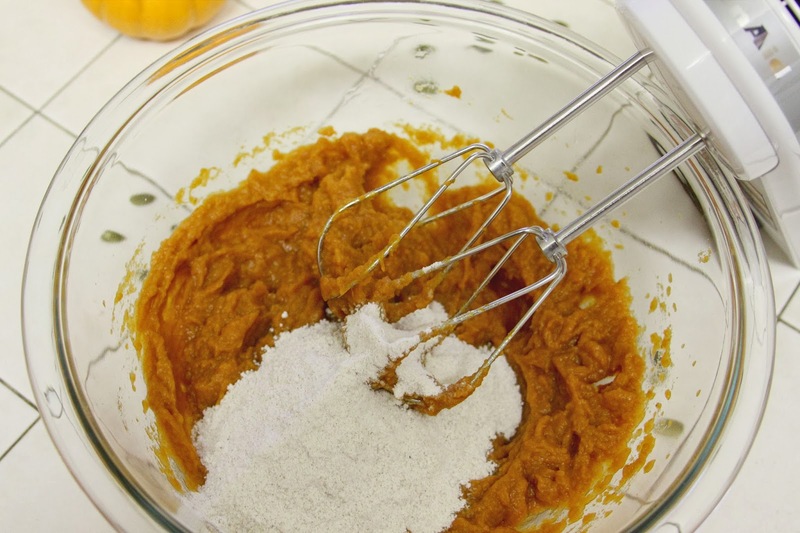 Combine flour, sugar, baking soda, pumpkin spice, nutmeg, cinnamon, and salt in a medium bowl by whisking, set aside. 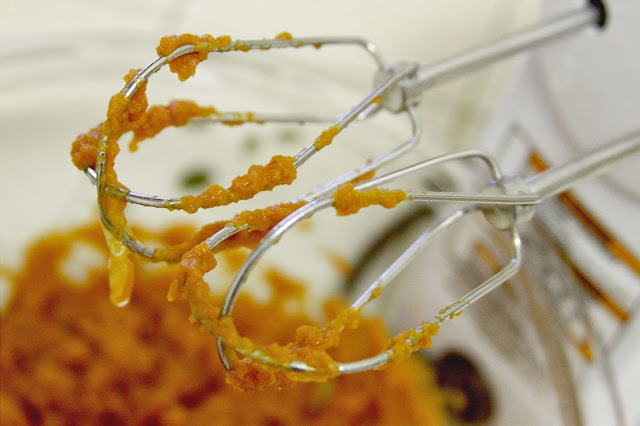 In a large bowl mix oil, egg whites, pumpkin puree and vanilla extract. Beat on medium speed until thick, scraping the sides of the bowl as needed. Add in the flour mixture slowly, blending on a low speed until combined. Make sure not to over mix. Pour batter into loaf pan and smooth at the top as best you can. 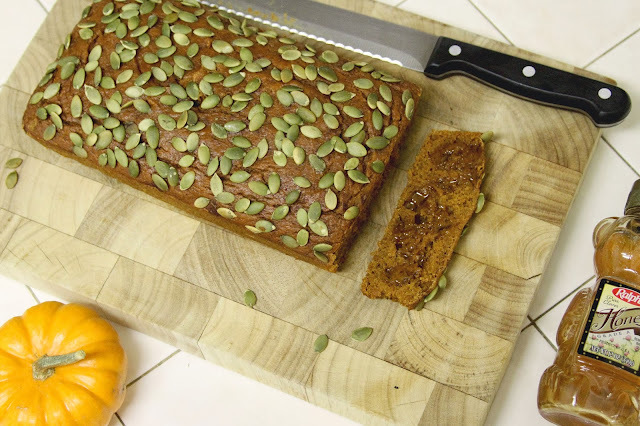 Top loaf with pepitas (pumpkin seeds) and sprinkle with extra cinnamon. Bake on the center rack for 50 - 55 minutes or until an inserted toothpick in the center comes out clean. let the pan cool completely on a wire rack before removing loaf, bread should be room temperature. Slice and spread with butter or honey... enjoy!